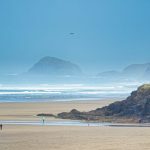 If you’re looking for staycation ideas here in the UK you’re probably picturing yourself enjoying a leisurely weekend away in a quintessentially English market town, perhaps one blessed with some gorgeous scenery and top notch local sightseeing. 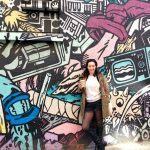 You know the kind of weekend I mean: strolling through cobbled streets eating pub lunches, spying half-timbered buildings and taking trips out to tranquil rural surroundings. 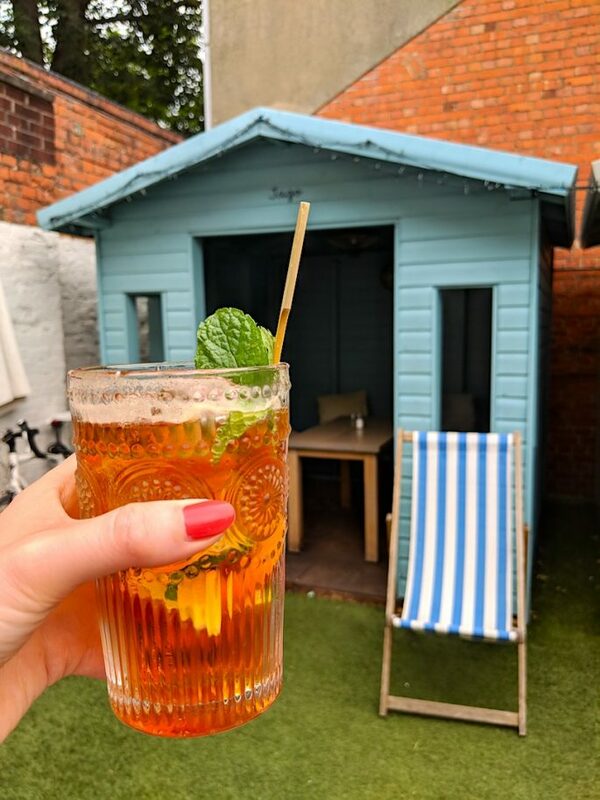 And if you’re travelling from London or the South East you’ll have easy access to a host of options for this kind of break: pretty destinations like Canterbury, Bath and Winchester have no trouble pulling in tourists from around the world. 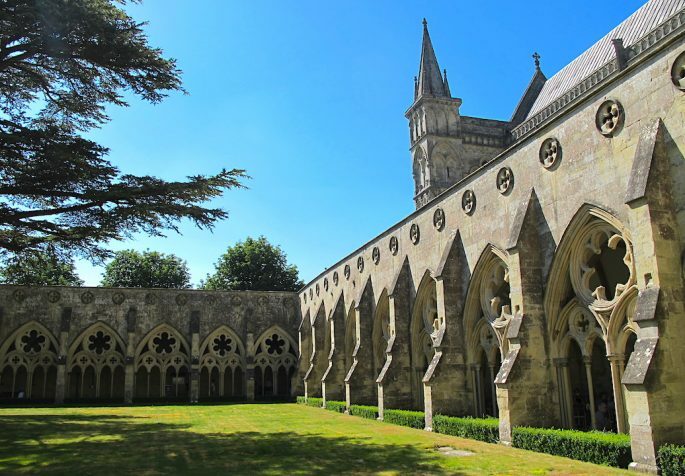 But the quaint South West city of Salisbury is absolutely ideal for a short break too – in fact it’s one of the top UK excursions for overseas tourists and draws half a million visitors a year to its historic cathedral. The city is also less than 10 miles from the most famous prehistoric monument in the world: Stonehenge. 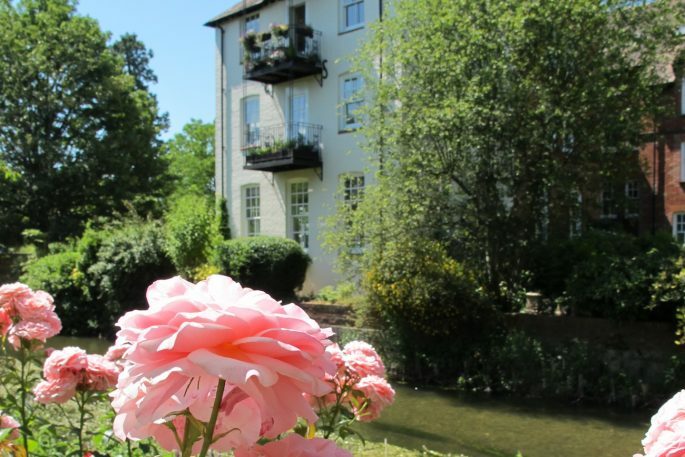 There are the perfect number of things to do in Salisbury and the surrounding area to keep you interested, without making you feel so rushed that you forget to take time to relax, creating a great balance for a mini-break. 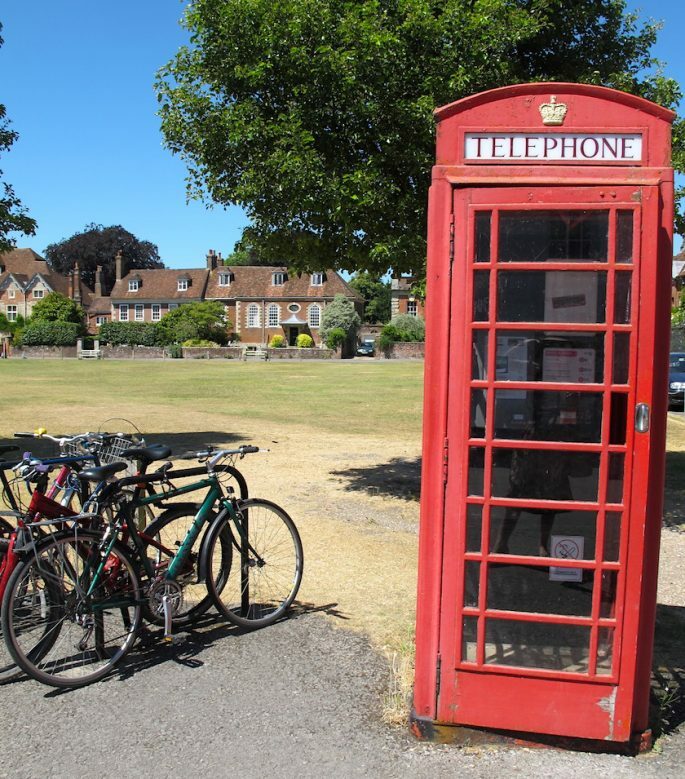 But chances are that much of what you’ve heard about Salisbury of late hasn’t focused on the city’s idyllic setting, the Neolithic history of Stonehenge, the height of its record-breaking spire or even the beauty of nearby Salisbury Plain. 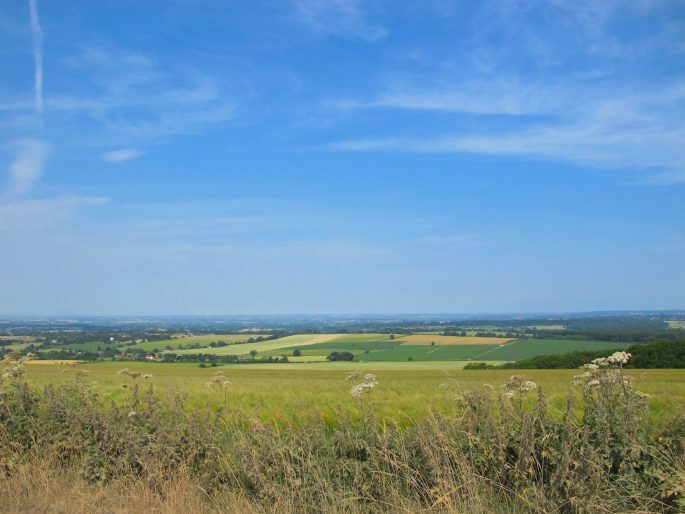 The mystery of the white horses carved into the area’s chalk hills was, up until recently, the big local story, but that has now been superseded by more recent news events which have undoubtedly had an impact on Salisbury’s tourist industry. 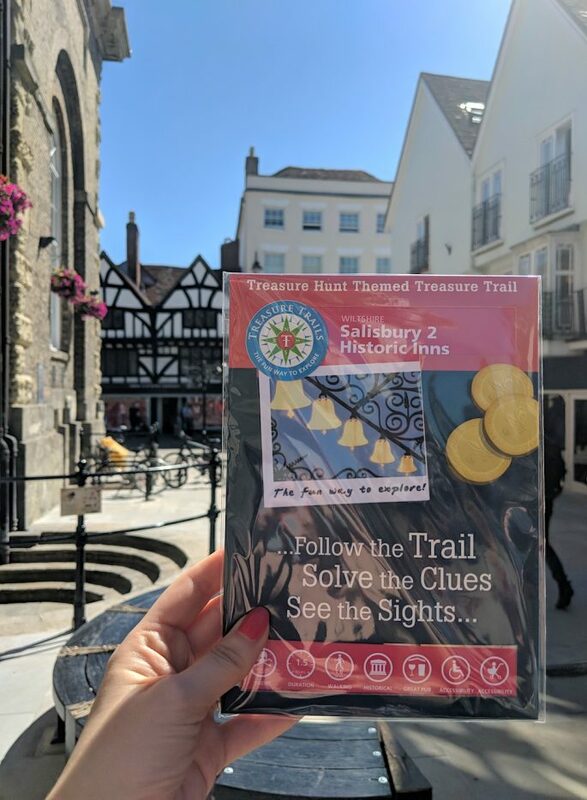 But I’m here to encourage you to visit Salisbury for yourself and look beyond the news headlines; you’ll discover the positive side of supporting a destination which has been through a difficult time and you’ll see that there are lots of great thing to do in Salisbury for visitors – from quirky art and cool culture to fun events and festivals. 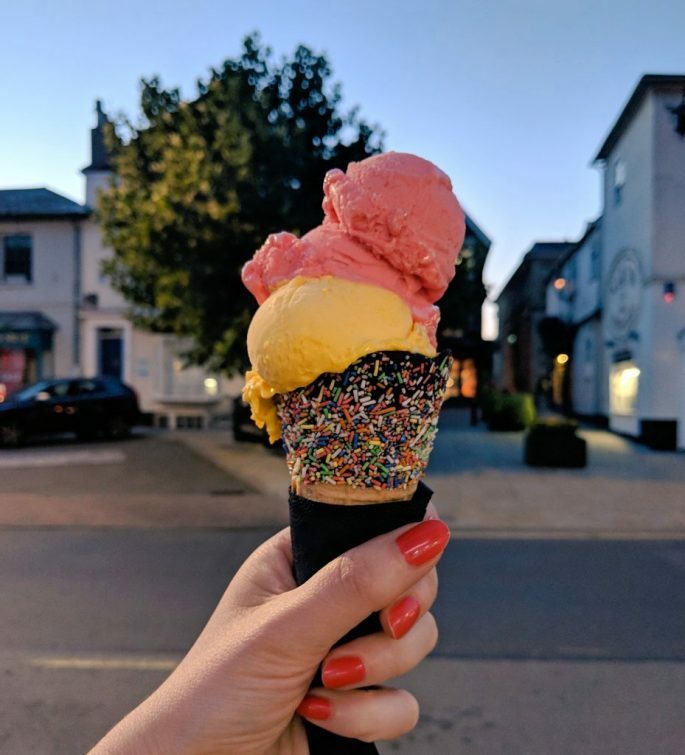 I travelled to Wiltshire to see for myself what Salisbury has to offer, and found that spending some time in the city now comes with some major advantages. 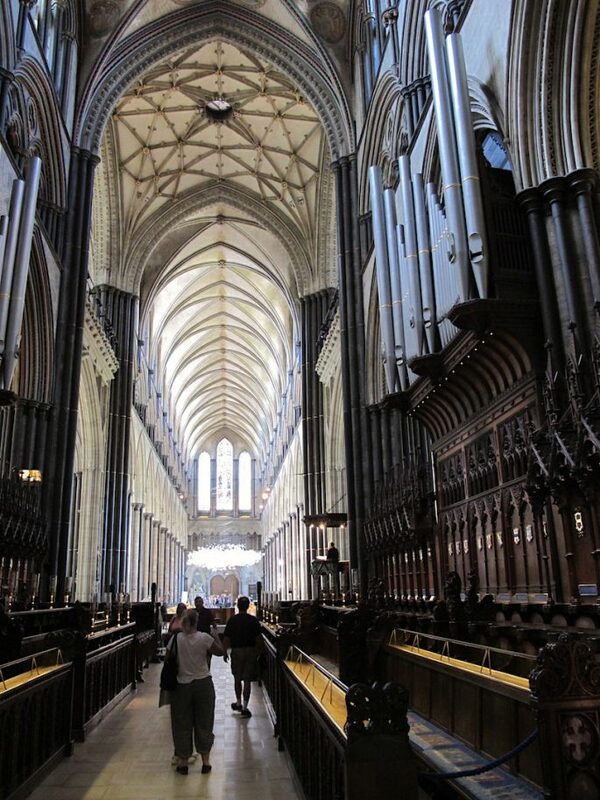 If you’re a history fan or an architecture buff you certainly won’t need any encouragement to join the vast numbers of tourists who visit Salisbury Cathedral every year. But if your attention span for impressive Gothic buildings is usually short (I’d count myself in this group), you’ll find a lot of unexpected and attention-grabbing surprises here. 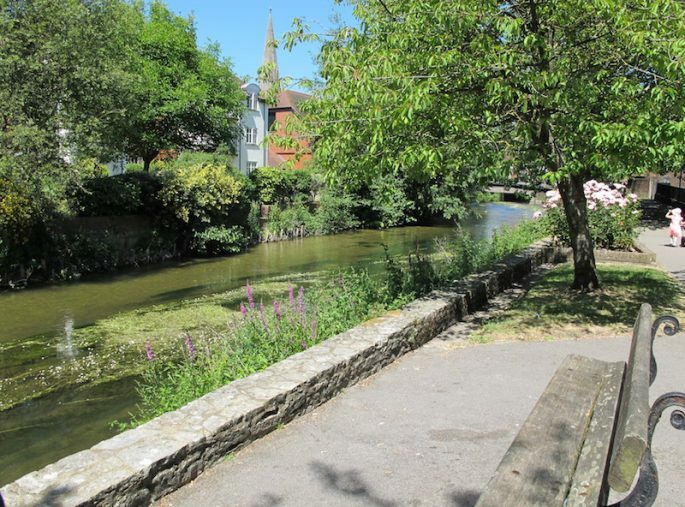 There are far things to do in Salisbury Cathedral and around the delightful Cathedral Close than first meets the eye. 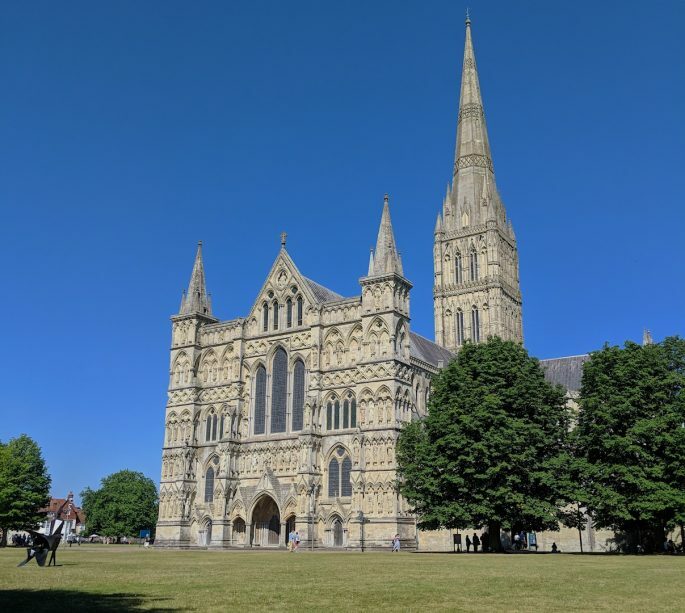 As well as being an awe-inspiring sight which dominates the Salisbury skyline from every angle, the cathedral has the tallest spire in the country (the second tallest in Europe) which you can climb on a special aerial tour, giving you behind the scenes access and epic city and scenery views from 68 metres up. 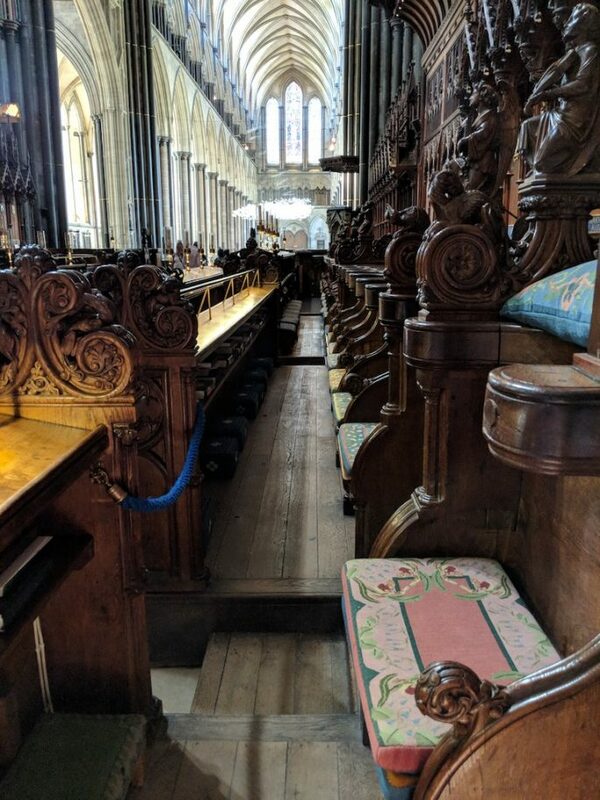 Salisbury Cathedral isn’t your run of the mill ancient church either – it regularly hosts modern art and the exhibit during my visit is a nod to the events of previous months. • CITY OF DOVES • 2,500 origami doves fly through Salisbury Cathedral in this powerful piece of installation art, designed to represent peace, unity and resilience against violence. 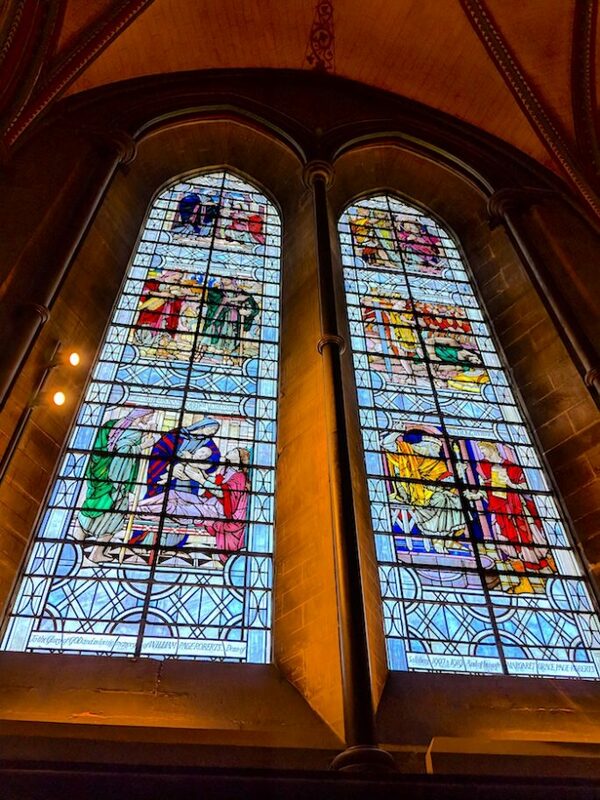 This cathedral really isn’t your run of the mill place of worship – as well as hosting contemporary art exhibits, it is home to the world’s oldest clock, dating back to the 1300’s, it boasts the UK’s tallest spire, and it has one of the only remaining original copies of the Magna Carta. City of Doves saw 2,500 origami doves fly suspended through Salisbury Cathedral in a powerful display representing peace, unity and resilience against violence. The piece has previously been displayed in Jerusalem and Munich – cities which have overcome struggles of their own. 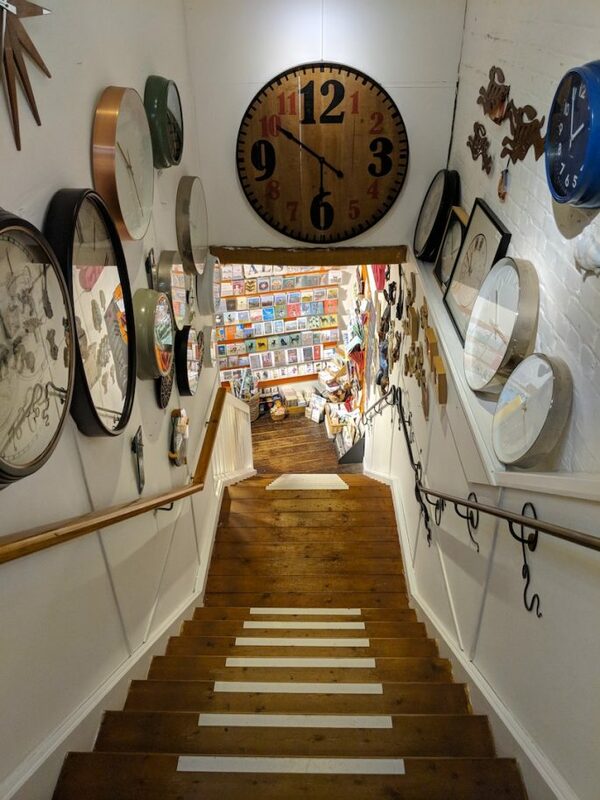 The entire cathedral is always home to temporary installations but it’s also permanently packed to the exceptionally high rafters with curious facts and bizarre artefacts – you’ll see the world’s oldest clock, walk in Britain’s largest cloister and find Sir Edward Heath’s final resting place. 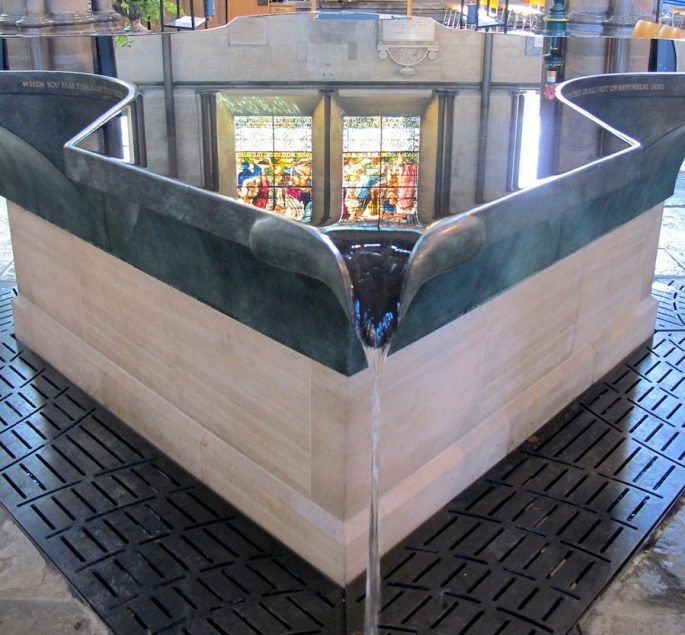 You can also enjoy the peaceful reflection of the majestic stained-glass windows in 3,000 litres of water at Britain’s largest baptism font. Why Visit Now? 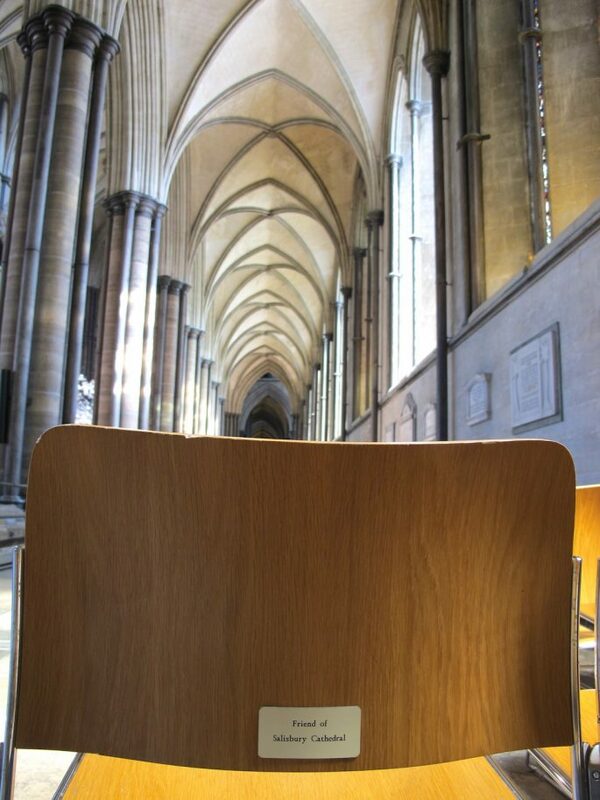 An opportunity to be surrounded by Salisbury Cathedral’s unparalleled splendour when visitor numbers have eased off is not to be missed. Even as you enter Chapter House you’re surrounded by history in the shape of 60 intricate wall carvings dating back to the 13th Century. This dry fact is brought to life by the tour guide who explains the purpose of the biblical sculptures, which was to help those who couldn’t read learn their bible stories. He goes on to point out that if you look closely you’ll see that the carved figures encircling the entrance represent good and evil, vices and virtues – but the vices are all portrayed by male figures, the virtues by females. 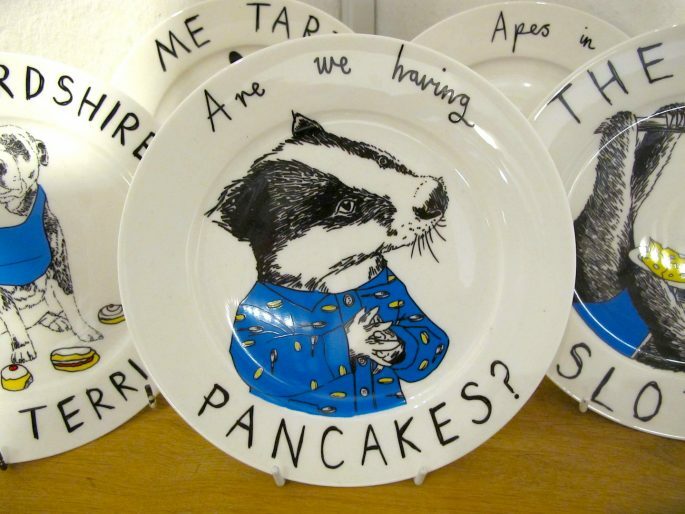 This draws a laugh from everyone present. But we are all here to see a different and very specific piece of history: Chapter House is where you’ll find the most well-preserved copy of the Magna Carta in existence, and aside from a visit to the British Library in London or to Lincoln, this is your only chance to see the most important single sheet of scroll in England. 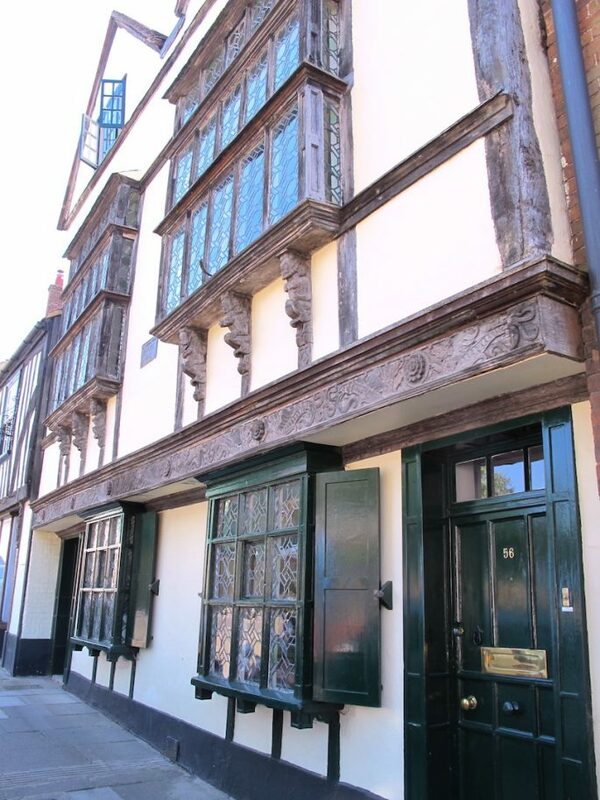 The Great Charter contains all 63 laws and 3000 words decreed as English rights by King John in 1215 – including the right to justice and a fair trial which forms the backbone of English Law to this day. Seeing the intricate ink lettering become ever smaller as it carries further down the page hints at the rushed scribes struggling to keep the document from going over onto a second sheet, adding a relatable human element to this world-famous document. Why Visit Now? 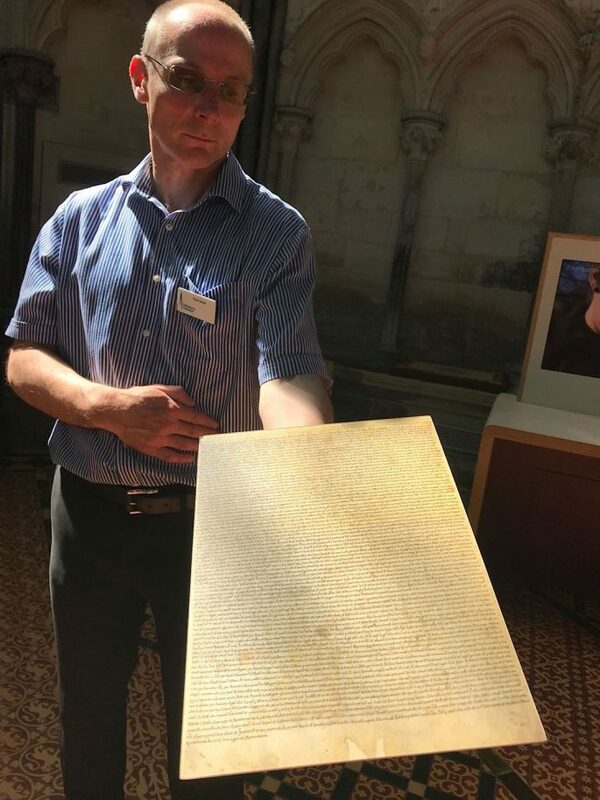 If you haven’t seen the Magna Carta you’ve already missed its 800-year anniversary, so why wait any longer? 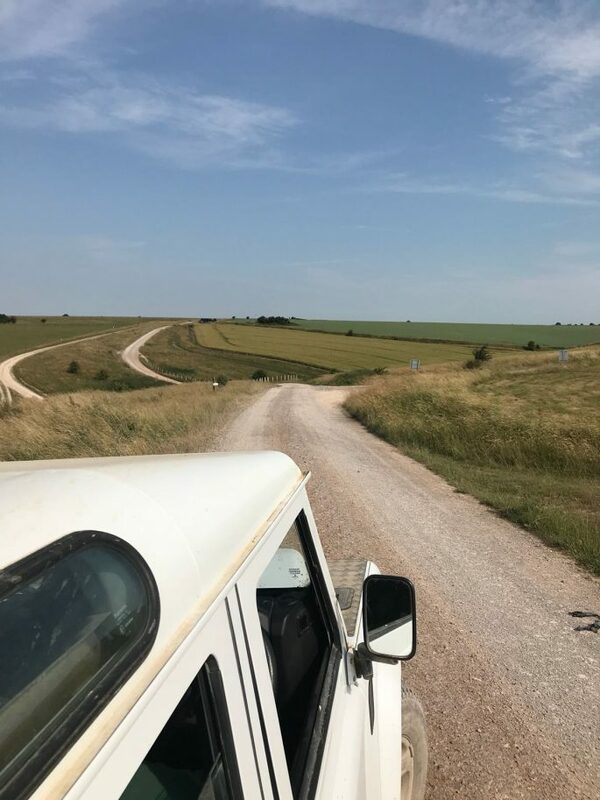 After the peace and tranquillity of Salisbury Cathedral, representing the cerebral side of Wiltshire, you might be ready for a more physical and hands-on experience – and this is where Salisbury Plain Safaris comes in. 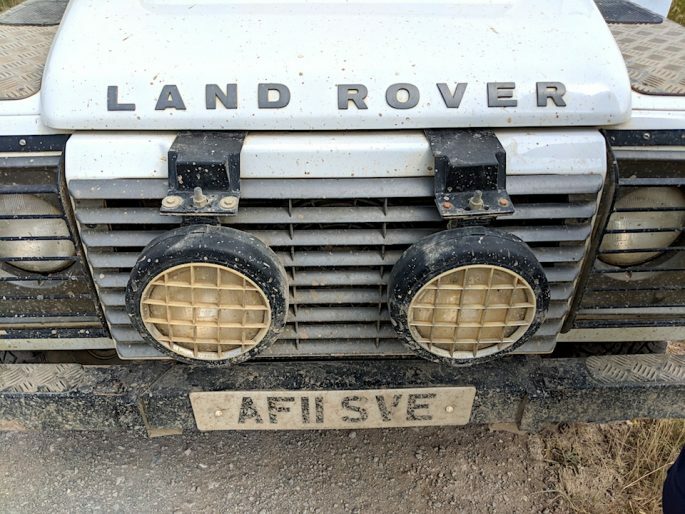 You’ll climb aboard a vintage Land Rover to bounce around whichever sections of the 300- square mile chalk plateau that form Salisbury Plain are deemed best for conditions that day. 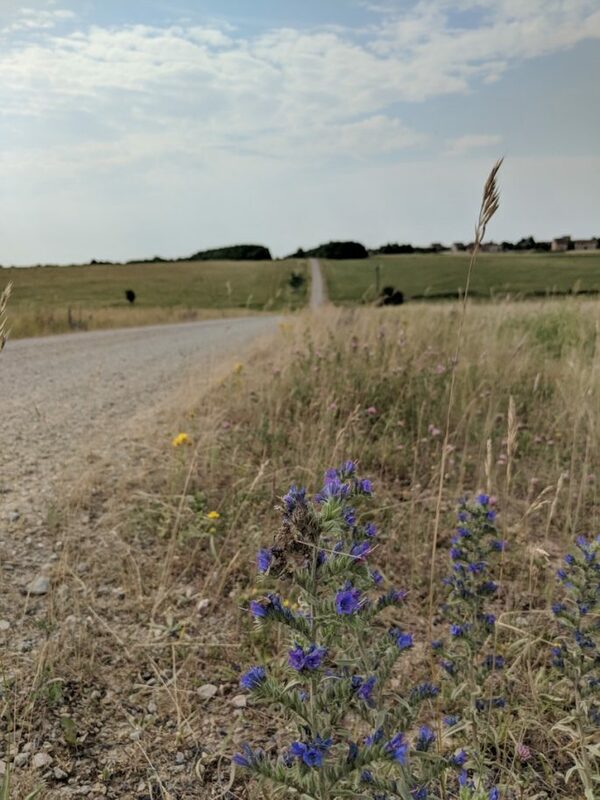 This vast open landscape is about the size of the Isle of Wight and is inhabited by wildlife such as cows and native bustards (meter-high ostrich-like birds) as well as the even wilder life of the British Army units. 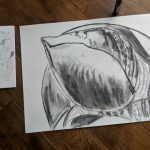 The latter use the landscape for manoeuvres, mostly with live ammunition, meaning there can be few parts of England for which you’d be more in need of a qualified local guide. 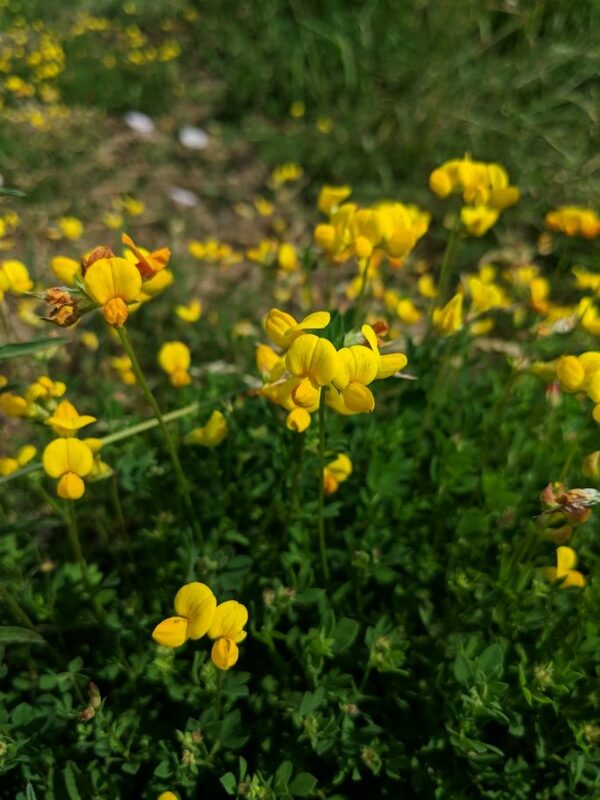 Luckily safari leader James knows the Plain inside out – from trucks carrying ammo, fields littered with bullet casings and firing zones signified by red flags, to wild flowers and tranquil nature reserves, he’ll navigate and commentate for you as you explore this amazing section of the country. 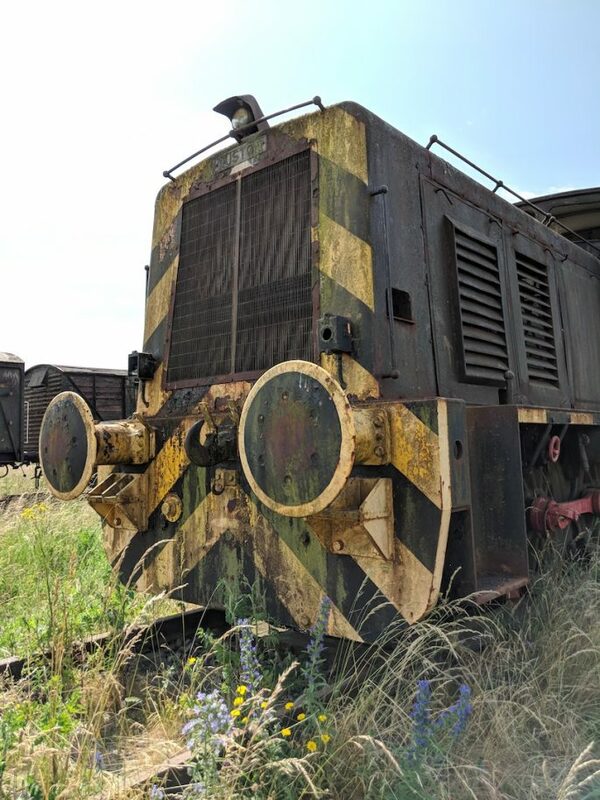 And if you’re a railway buff, war historian or even a fan of TV series like The Walking Dead your pulse will quicken when you’re taken to the disused rolling stock and railways yards used by troops for training here. 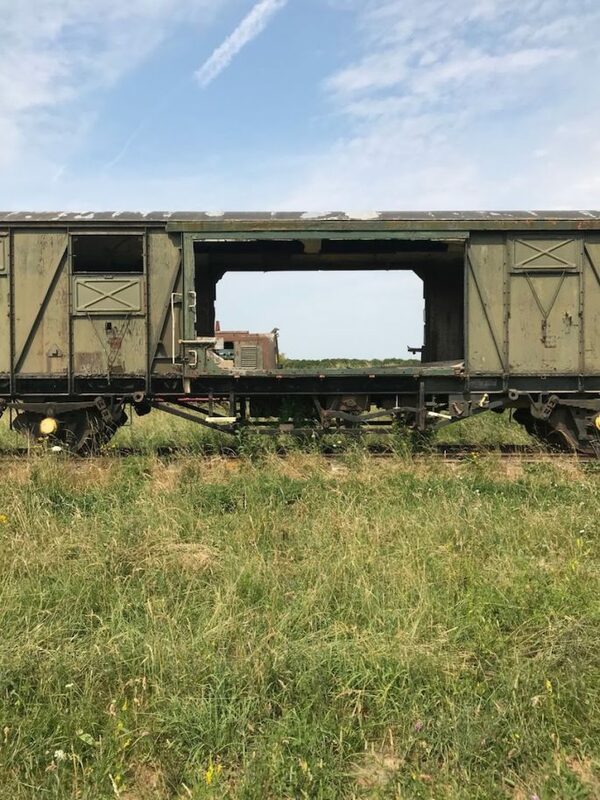 As far back as WW1 soldiers came in by railway to Salisbury Plain because the territory is so similar to northern France and Belgium, so there’s a lifetime of history that comes with the fabulous views. Why Visit Now? 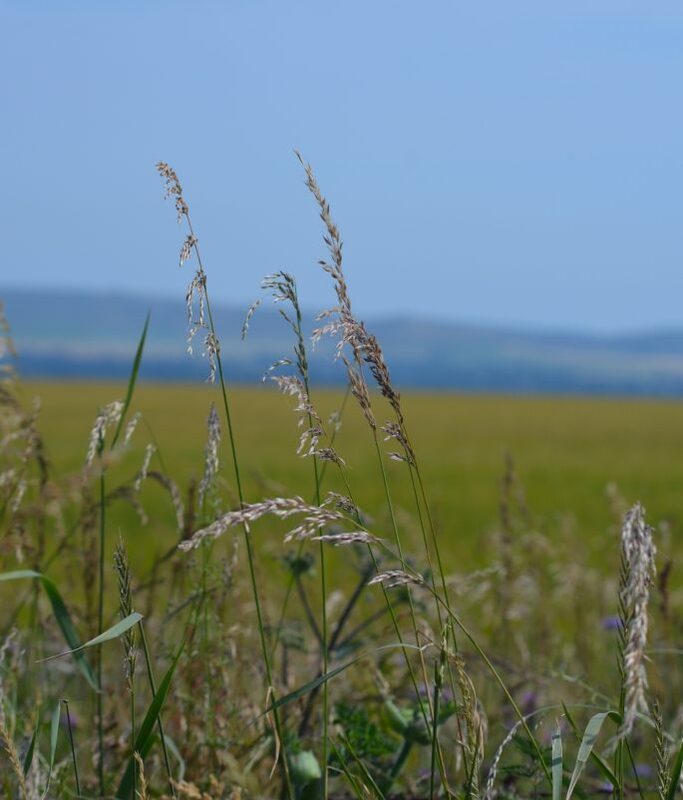 August is when the harvest happens on much of Salisbury Plain, making it ideal for photography; everything takes on a sepia tone, as if a natural Instagram filter has been applied. August Bank Holiday is also one of the few dates per year when you can visit Imber, a 12th century village smack bang in the middle of a live firing range which was abandoned in the 1930’s and has been stuck in a time warp ever since. 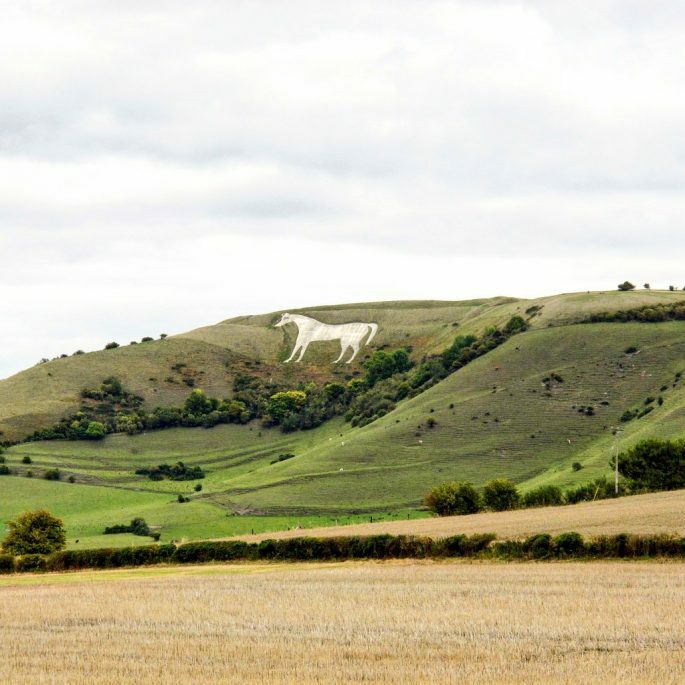 Wiltshire’s white horses – huge carvings of horses into the chalk hills – represent a unique a and beautiful spectacle which can best be seen in this specific part of the country. 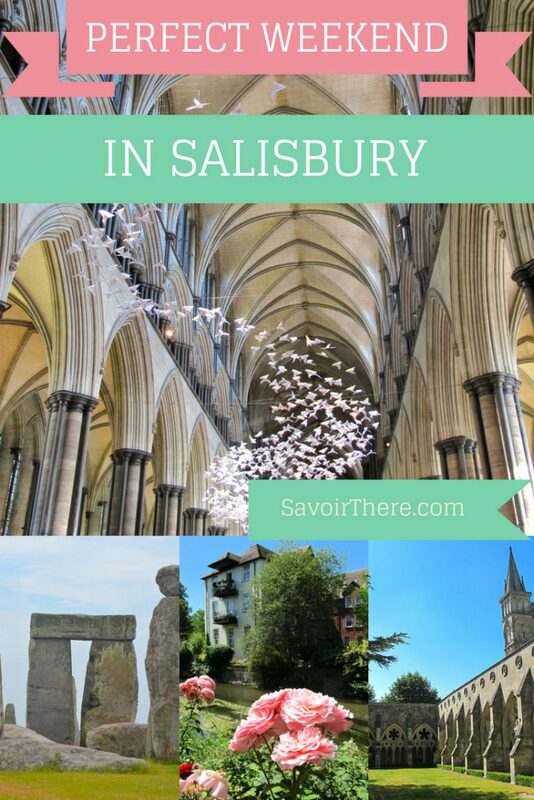 In fact of all the thing to do in Salisbury and the surrounding area this is probably my personal favourite – and of course seeing them is totally free. There are said to have been 24 white horses in England in total, dating back 250 years, with 13 in Wiltshire, and of these 8 are still visible – especially on a clear day. Even more intriguing is the Bulford Kiwi, a giant bird carved into the landscape by New Zealand soldiers stationed here in 1919, which has now been given protected status. Why Go Now? There’s been a massive dump of new white chalk by helicopter in summer 2018 making the kiwi easier to see. Stonehenge really needs no introduction. The 4,500-year-old monument is English Heritage’s most visited site and has a deep-seated meaning to the British public that can’t be explained in mere words. Finally visiting Stonehenge in the summer! 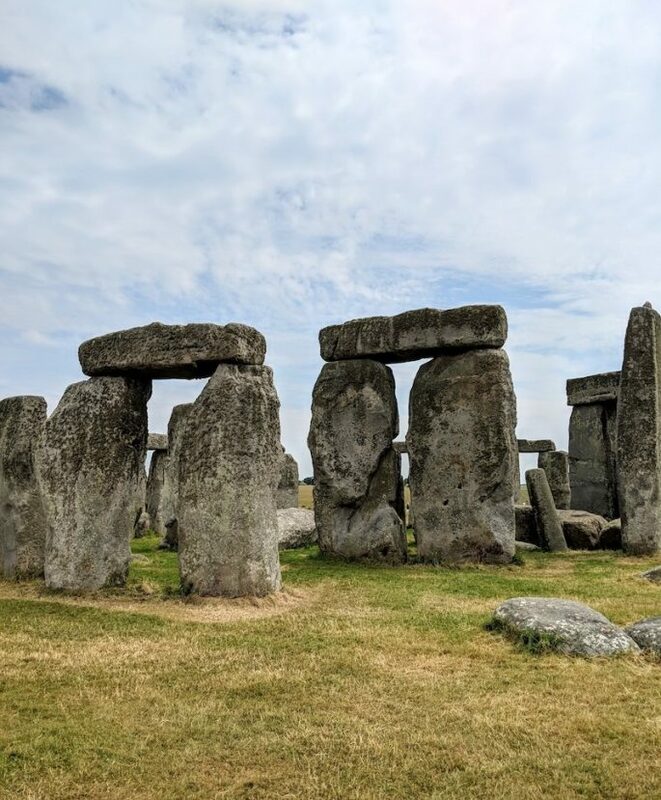 Many countries have their own world famous and iconic natural structures and for England that must-see spectacle is Stonehenge, so if you haven’t seen it for yourself, this could be the year to correct that. • THE STONES • If I didn’t have plans this weekend I’d be up for an adventure in the English countryside while this amazing summer weather holds. A couple of weekends ago I visited Stonehenge, and even though I’ve been a few times before on wintry or cloudy days it was great to capture the stones in the summer sunshine. 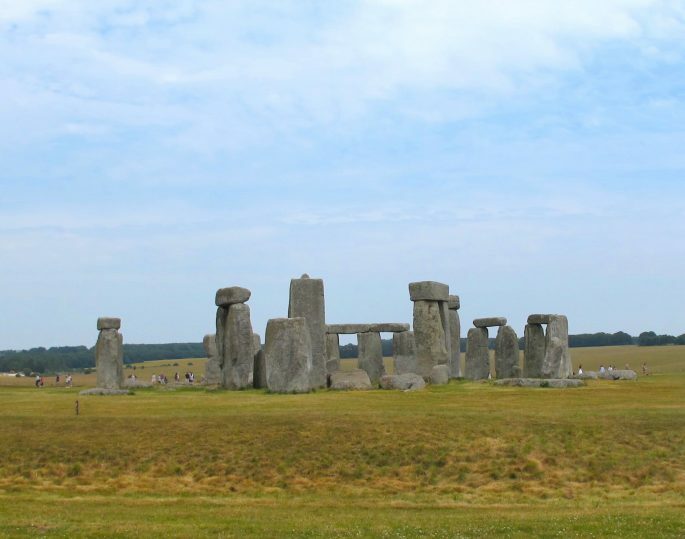 Have you seen Stonehenge for yourself or would you like to? Why Go Now? 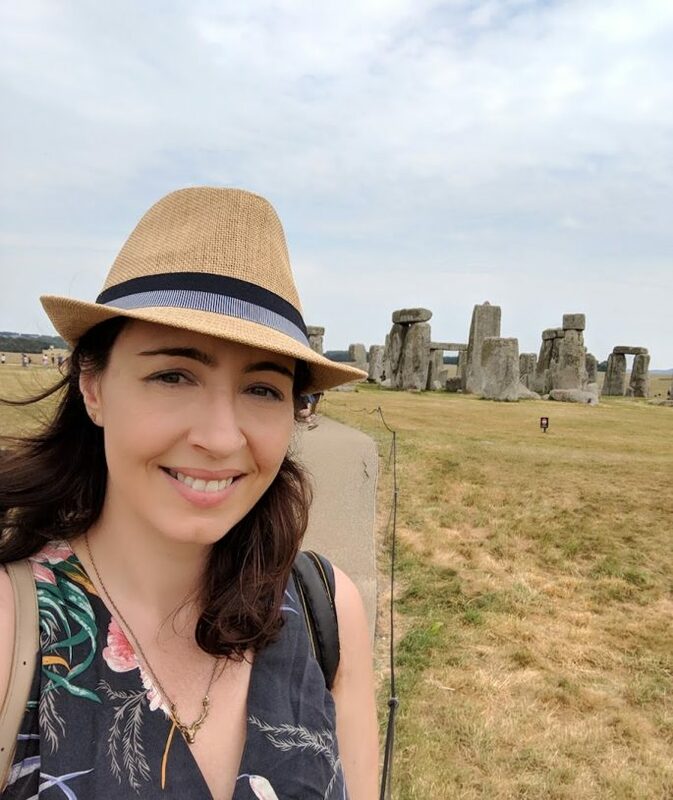 Nothing can dent the appeal of Stonehenge for UK and overseas visitors alike so grab any opportunity to find a lull in the crowds and get those mystic stones to yourself while the skies are still bright blue. 2018 marks the 100th anniversary of Stonehenge being gifted to the nation by private landowners. 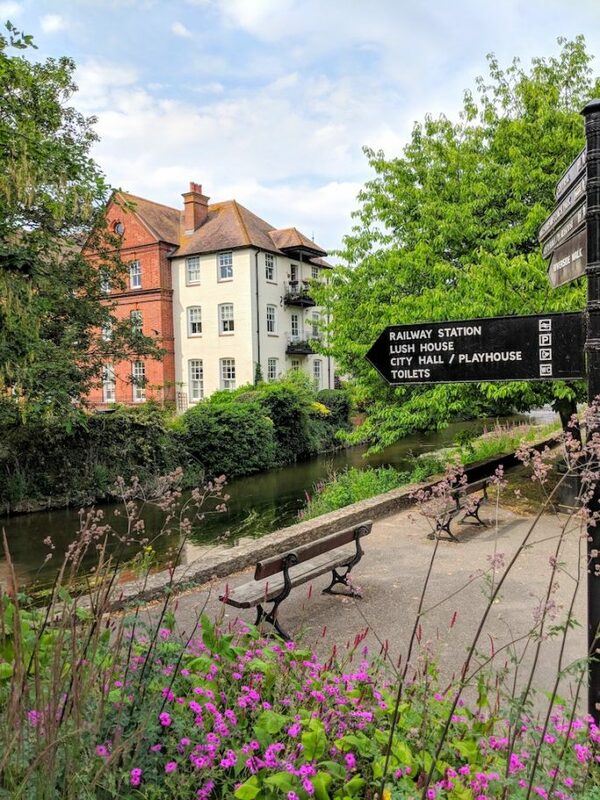 Once the delights of the Cathedral and surrounding countryside have fully revealed themselves, there’s the streets of Salisbury itself to explore. This compact and easy-to-navigate city is perfect for the kind of pleasant weekend-paced meandering we all crave. 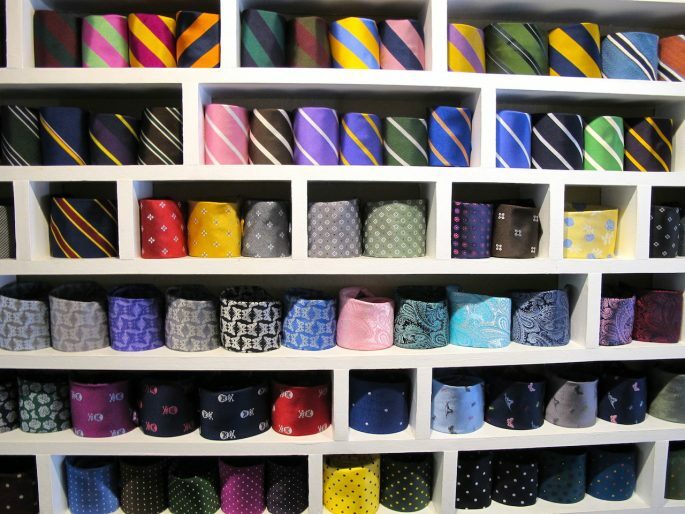 There are no shortage of inspiring indie shops to pop into in Salisbury: from Fisherton Mill, a former Victorian Mill turned artist studio space, café and creative centre to Regent Tailoring, a gentrified Kingsman-style tailors shop where you can browse for bespoke suits, hipster clothing and accessories and have an artisan G&T all under one carefully-curated roof. 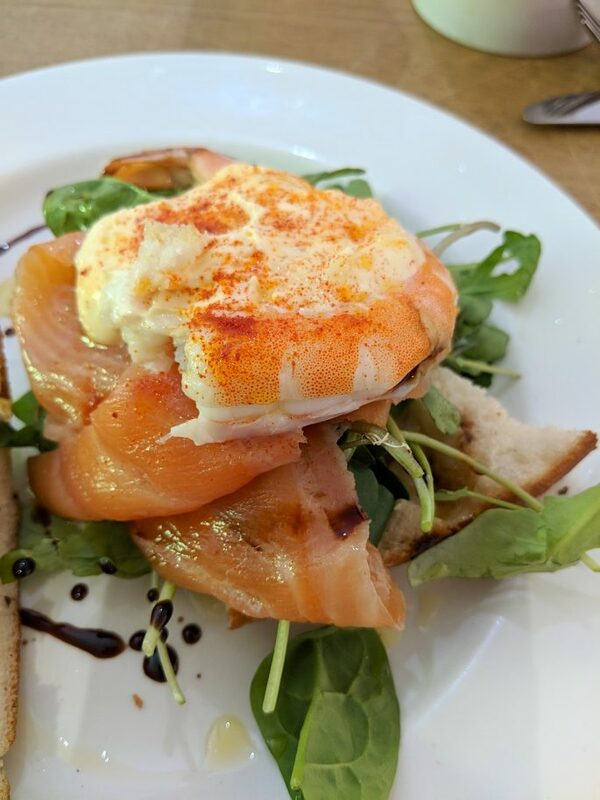 Food-wise there are of course atmospheric history-packed pubs like the Haunch of Venison, Salisbury’s oldest public house: on my visit I was the only non-American diner due to its popularity with travellers from the other side of the pond. 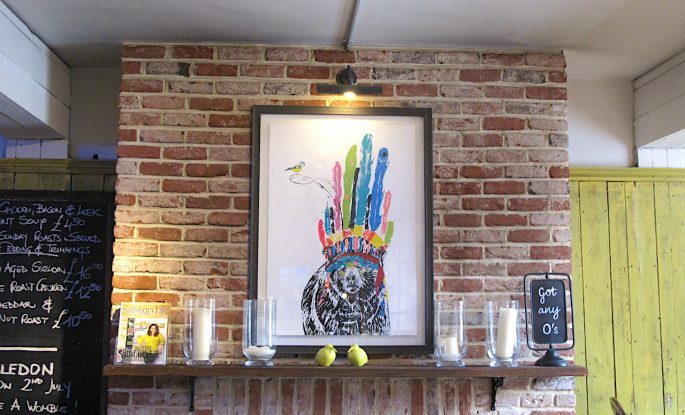 Then there are the more relaxed eateries such as the Old Ale and Coffee House which showcases the kind of quirky and cool menu of real ales and craft beers which defines Salisbury’s true character, that of a city where the old intersects with the new. 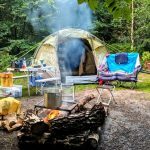 Why Visit Now? 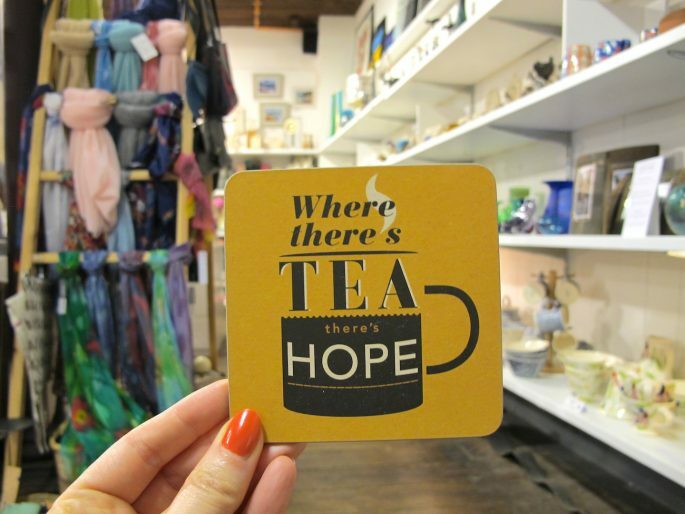 Salisbury is packed with small, locally-owned independent businesses – the kind of one-off shops, cafes and art galleries that we all tend to pay lip service to supporting, and 2018 is a great time to put that into action. 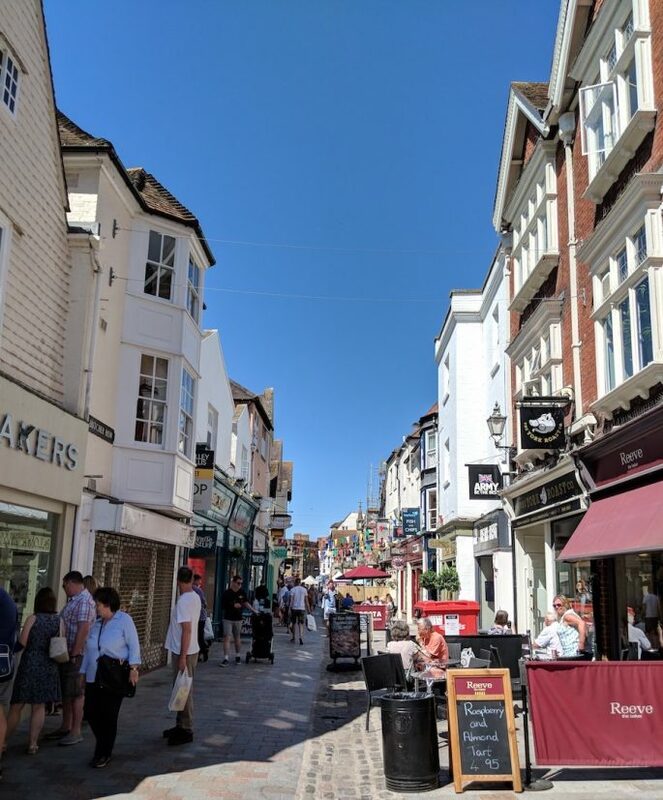 If you’re planning on doing any of these Salisbury activities you’ll be glad to hear that there’s free parking on offer across much of the city, brought in to encourage visitors to do what Brits do best: keep calm and carry on.